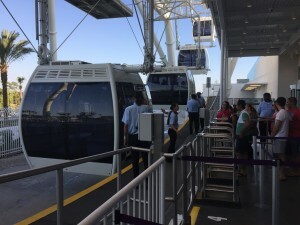 After the entire city had watched the construction of The Orlando Eye for several years, it finally opened last weekend, along with its sister attractions, Madame Tussauds and Sea Life aquarium. Together, they form the primary attractions of the new entertainment complex known as I-Drive 360. Note: This post may contain spoilers for the Orlando Eye, Madame Tussauds, and Sea Life. If you want a completely fresh experience untainted by existing knowledge, read no further. We had prebooked tickets to the Eye and SeaLife way back in early February, when the opening day was first announced. Our reservation was scheduled for Saturday, May 9, 2015. Since booking them and doing a little more research, however, we had decided we wanted to instead purchase the Merlin Annual Pass USA. 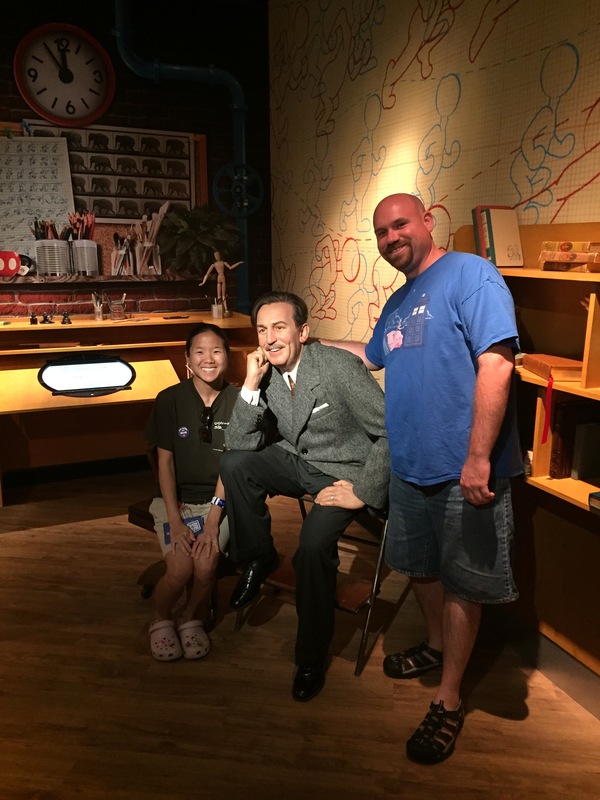 In addition to being an annual pass for the three I-Drive 360 attractions, it also grants admission to LegoLand and its water park, both about an hour from Orlando, as well as all other LegoLands, Madame Tussauds, and SeaLifes throughout the country. As the attractions opened last weekend, we anxiously awaited our scheduled reservation on the 9th. However, on Thursday May 7th, we found ourselves with an unplanned free afternoon. We decided to take our preboooked tickets over to the Eye and see if we could upgrade to the annual pass. When we arrived, and after speaking to several employees, we finally found one who knew how to do the upgrade. To our surprise, she offered us an option we hadn’t previously known: the Florida Resident annual pass. This one grants entrance to the I-Drive 360 attractions as well as LegoLand Florida and its water park, and LegoLand Discovery Center in Atlanta. It doesn’t include the other Merlin-owned attractions in the US. (We later found out LegoLand is marketing this ticket as the “awesomer pass”). The Florida pass only costs $149 compared to Merlin Annual Pass USA’s $269, and as we’re unlikely to go to the non-FL attractions in the next year, that’s the one we went with. 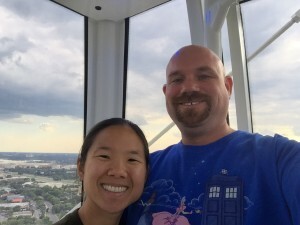 Our first visit to the Orlando Eye occurred just a couple hours after we had done the upgrade (in the intervening time, we had booked a reservation at one of Orlando’s Escape games, which will be the topic of a future blog post). With our new annual passes in hand, we bypassed the ticket purchasing line and went right into the ticket-holder queue. Our tickets were scanned, and we were then directed to a series of green screens to get our pictures taken (we ended up not purchasing the pictures, so I don’t have those to show you here). After the photo, we were handed a pair of 3D glasses, and then entered the “4D Cinema Experience” after a brief wait in a queue. The 3D movie is accompanied by two instances of water effects, which I suppose is how they justify calling it a “4D” experience. The video is cute, but really serves as a commercial for the Eye, which makes very little sense to me as everyone in the theater has already bought our tickets. One interesting thing I found is that the characters soar over and through various Orlando attractions, including Gatorland, Universal Orlando, and SeaWorld. Walt Disney World, however, is very conspicuous by its absence. I wonder what led to that decision. Did Disney not want to be included? Or did Merlin not want to advertise them (and if so, why did they want to advertise Universal and SeaWorld, the latter of which has to be seen as competition for fellow Merlin attraction, Sea Life)? Finally it’s time to board. The crowd of guests are divided into several queue lines outside on the loading platform. When the capsule approaches, the gates open and all guests funnel inside, stepping from the stationary platform into the Eye’s capsule. The capsule does not stop for boarding (except for situations such as a guest with mobility issues). The boarding platform for the Orlando Eye. From nearly 400 feet in the air, our tour guide took this pic of us. As we slowly descended back to the platform, we were asked to keep clear of the doors until they opened. At that point, guests filed out of the capsule onto the stationary platform attached to the building. Again, the wheel does not stop spinning for guests to disembark. When you get off, please keep moving (on this first flight, the guest in front of me was staring at her phone and stopped walking when she got off, causing a series of collisions behind her that were annoying at best and dangerous at worst). When we reentered the building, the team of employees was on hand to try to sell us a photo book of the experience. Unfortunately, the photos are simply two green-screen shots that were taken at the beginning, nothing actually in the Eye itself. They are placed in a small book containing facts about the Eye and the surrounding area, and for that they are charging $35, which I consider way over priced. 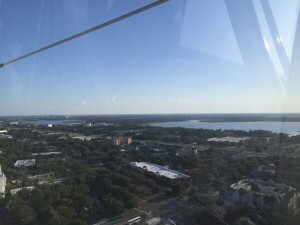 We left the Orlando Eye and had dinner at one of the restaurants at I-Drive 360, Yardhouse. Dinner was tasty as always (we’d been there several times before). After dinner, we went back into the I-Drive 360 complex hoping to visit one of the other attractions, but both Tussauds and Sea Life had already closed by then; they both close at 8pm on weekdays, 10pm on weekends. However, the Eye was still open (10pm on weekdays, midnight on weekends), so we went for another trip. 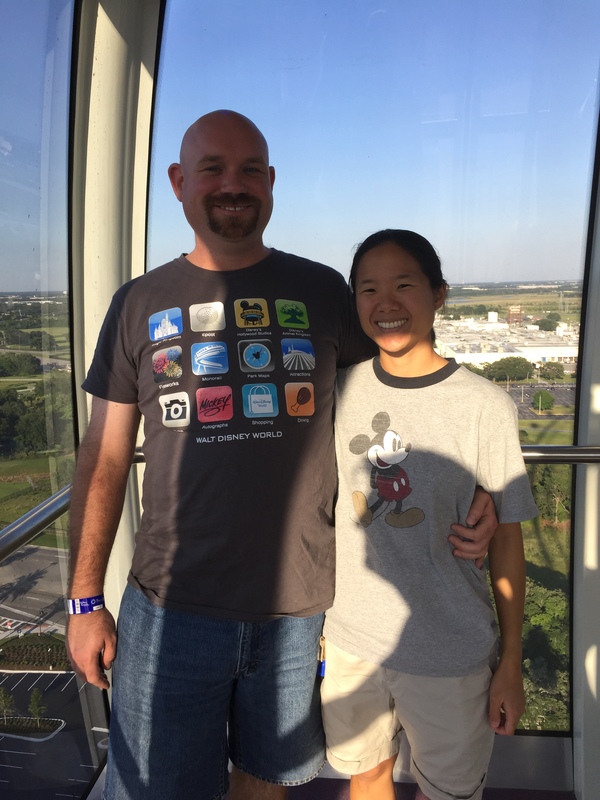 A few differences this time around: We opted to skip having our green-screen picture taken again, our guide offered us use of her iPad that contained facts about the visible attractions/locations on our flight, and the sun had set so the capsule had a set of blue lights engaged to reduce the glare of the glass. I will say that I think the first trip of the day as better – it was far more difficult to make out anything recognizable at night time. That being said, we definitely want to return at some point and try to time a flight with the fireworks at Disney. 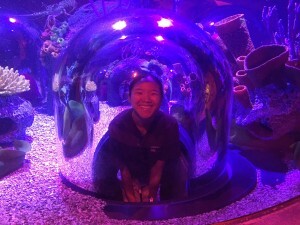 Overall, Sea Life was a nice experience, but didn’t quite live up to the expectations we’d had for it. The biggest disappointment was the 360° tunnel they heavily advertised. From their descriptions, I was picturing a very long tunnel right in the middle of a large tank. It’s not. For starters, it’s very short, maybe 15-20 feet long. And it’s just barely above the floor of the tank, so the animals don’t really swim underneath it at all. Another problem we experienced is the crowd levels. Now, it was the first weekend that Sea Life had been opened, so this may be a premature complaint, but the number of people crowded into each exhibit really took away from the calm relaxing atmosphere I expect an aquarium to provide. We will be back of course (after all, we have that annual pass now! ), so I’m hoping to have a better experience on another visit. One thing we are looking forward to is their behind-the-scenes tour, which costs only $5. Each of Tussauds and Sea Life took roughly 30-45 minutes. They could easily take longer if you want to really read all the information provided and/or take photos with more of the figures or Sea Life residents. The result is that you could spend a good chunk of a fine afternoon at the I-Drive 360 complex. That’s my car, on the bottom right of the top of the 7-story parking garage. Also within the complex is a mall-style food court featuring four counter service restaurants and a seating area. 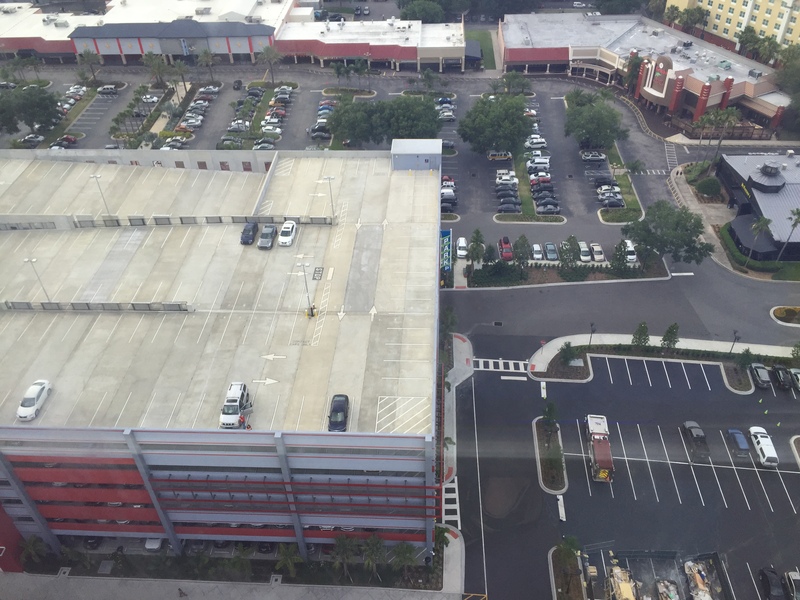 Elsewhere in the complex are several full-service chain restaurants including the aforementioned Yardhouse plus Outback Steakhouse and Carrabba’s. There is a nightlife bar called Tin Roof, as well as at least two more attractions yet to come – an educational museum called “Skeletons” and some sort of game arcade right near the parking garage. And speaking of the garage, parking for all the attractions is free in this garage, and valet parking is also available for an additional fee. 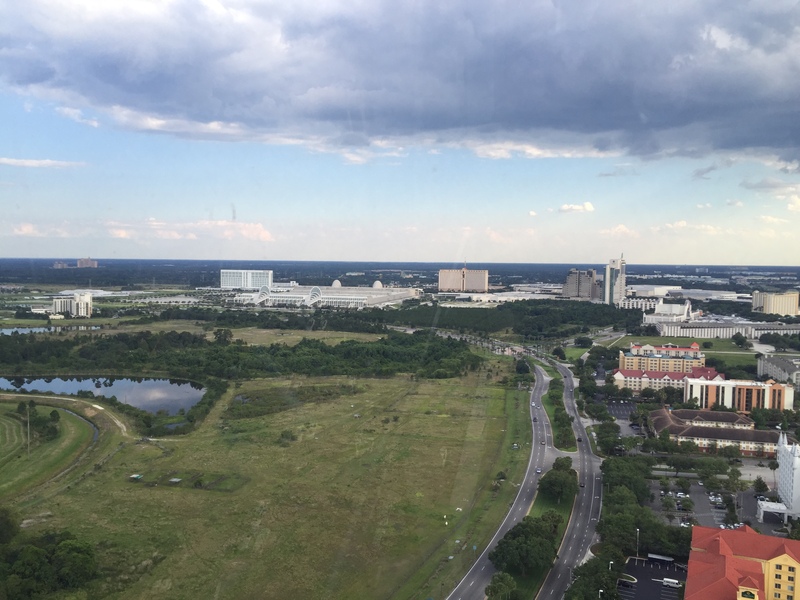 Overall, I-Drive 360 is a great new addition to the Orlando area, and is worth adding one more day to your planned Orlando vacation. A good mid-week break from the uber-planning required by the theme parks, the main attractions of I-Drive 360 are a good way to spend a relaxing afternoon. This entry was posted in Attractions, non-Disney attractions. Bookmark the permalink.